At least 3,500 daily passengers between Iloilo City and the touristy Island Province of Guimaras in the Philippines are now enjoying a better way to travel with the opening of the Parola Terminal Complex that CDIA helped to plan in 2008. The terminal was established via a public-private partnership (PPP) mechanism. “The new terminal is very nice. 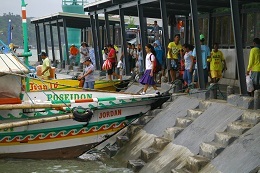 We can relax comfortably before boarding the ferry because it is air-conditioned and has clean comfort rooms. We no longer get wet when it rains because we can stay at the lobby,” said Junnelyn Cobrador, regular passenger of Iloilo-Buenavista route. What used to be a mere dock for loading and unloading passengers has now been transformed into a modern terminal complex with air-conditioned terminal lobby, ticketing area, canopied loading arcades, clean public toilets, designated parking areas and drop-off points. 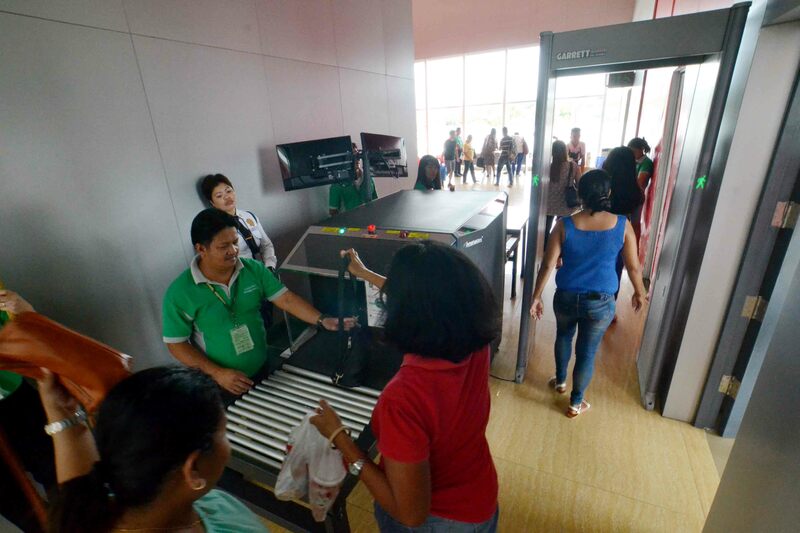 It is also equipped with CCTV cameras, baggage scanning machines and metal detectors for the safety of the passengers. Next to the terminal is a commercial center with a grocery shop, a pharmacy, a number of restaurants, and other stores for added convenience of passengers. 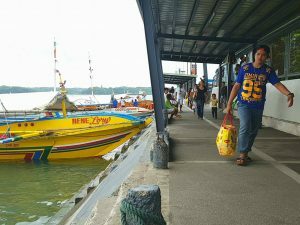 Along with the modernization of Buenavista and Jordan ports in Guimaras, the terminal complex in Iloilo City is part of the integrated three-port terminal system envisaged in the Guimaras-Iloilo Ferry Terminal System (GIFTS) project. 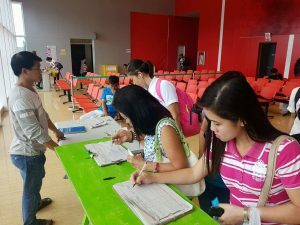 In 2008, CDIA provided technical support to the Metro Iloilo Guimaras Economic Development Council (MIGEDC) in the planning, development and implementation of these infrastructure projects. 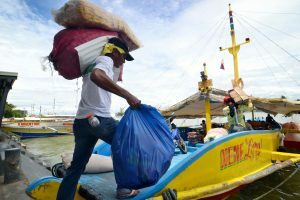 The key strategy was for the three-port system to be developed, managed and operated by a joint venture corporation owned by the four LGUs of MIGEDC. When this did not materialize due to various challenges, the municipalities of Buenavista and Jordan gradually re-developed their ports using internally-generated funds. Meanwhile, the Iloilo City government accepted the proposal of Double Dragon Properties Corporation to develop the Parola Ferry Terminal into a multi-use commercial complex under a Joint Venture Agreement. 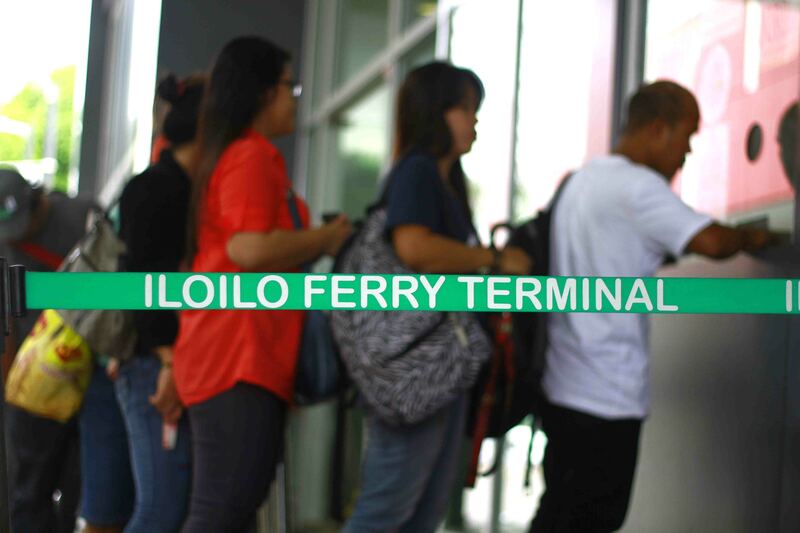 With total investment value of Php 125 million (USD 2.4 million), the terminal is one of the PPP arrangements entered into by the Iloilo City government after the CDIA intervention in 2008. “One key result of our engagement with CDIA is raising the capacity and improving the capabilities of city planners to bridge the gap between planning and implementation,” said Mr. Jose Roni Peñalosa, Iloilo City Planning and Development Officer. “This is by improving our skills in accessing financing and convincing [financiers] to come and invest. CDIA’s guidance made us fearless in doing innovations in this part of the region,” he added.